Chronic kidney disease (CKD) is a common long-term condition, usually affecting the older generation. A diagnosis of CKD means your kidneys are not working as effectively as they used to. The older you are the more likely you will have a degree of CKD. CKD doesn’t always cause symptoms especially in the early stages and so someone only becomes aware of problems when the level of kidney function has fallen to low levels. Therefore it is blood and urine tests that are used to diagnose the problem in the early stages. Why do so many people have CKD? Your kidneys are remarkable organs. They work every hour of every day filtering blood to take out waste and converting it into urine. They do a number of other things too (see below) and they never stop working – they use 25% of your body’s energy to do their job. While there is no cure for chronic kidney disease, treatment can slow or halt the progression of the disease and can prevent other serious conditions developing. People with CKD may live an active and full life. In more severe cases CKD can cause the kidneys to fail. This is known as known as established renal failure (ERF) or end-stage kidney disease when the usual functions of the kidneys drop to critical levels. To survive, the individual may need to have artificial kidney treatment, either through dialysis or with a kidney transplant. You can read more about treating chronic kidney disease on NHS Choices. A diagnosis of CKD is initially very concerning for the person and their family, though a lot of help, advice and support is available, see below. There is no proven cure for CKD but its progression can be slowed or halted. People also need to be aware of other risks that CKD bring such as an increased risk of heart disease or the risk of a sudden decline in kidney function when unwell (acute kidney injury – web link). And it’s important that people with CKD have the knowledge, skills and confidence to understand CKD and to be able to self-care or self-manage. And it’s this that forms the basis of the Transforming Participation in Chronic Kidney Disease programme. Taking care of yourself when you have CKD can become part of everyday life. Self-care means taking responsibility for your health and wellbeing with the support of the people who care for you – your family and friends and the clinicians you see – whether that is in your GP surgery or at the hospital clinic. This means the person with CKD looks after them self every day – by doing the things that keep us fit and healthy – eating well, taking gentle exercise, preventing other illnesses or accidents and generally being mindful and taking care of their physical and mental wellbeing. You can read more about living with chronic kidney disease here. Read more about the symptoms of chronic kidney disease. Read more about the causes of chronic kidney disease. The main way to reduce the chances of CKD developing is to ensure any existing conditions, such as diabetes and high blood pressure, are carefully managed. Read more about preventing chronic kidney disease. The links below are useful if you want to know more about CKD, how to get support and living with CKD. 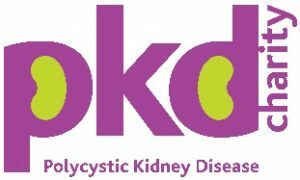 Kidney Care UK (KCUK, formerly the British Kidney Patient Association) was established in 1975 and works to improve the quality of life for adults and children with kidney disease. KCUK provides information and advice. They also give grants to help patients and families with kidney disease for the purpose of covering the costs of domestic bills, hospital travel, education and holidays during times of financial hardship.KCUK also gives financial support to kidney units throughout the UK to help improve kidney services and patient care. KDIC provides useful information about dialysis in straightforward language, but with enough medical terms to help anyone understand what they are being told by medical staff about their care. Patients are working with the clinical team in their Renal Unit (Kidney Unit) initially in 10 areas of England, on the TP-CKD programme. The teams will comprise 50:50 patients and clinicians and in a spirit of true co-production they will work together to see if the right level of support to patients with CKD, results in improvement in their care and wellbeing that can be measured. Our most important relationships are with those we serve. We want to demonstrate this in practical ways. That is why we are committed to involving patients and the public directly in the development of our plans; encouraging and supporting active participation in improving care and services; and promoting openness and transparency both in the way we work and information about the work we do. The aim of this programme is to support, facilitate and measure the difference to improvement in care and outcomes ‘with’ and ‘for’ patients with CKD. To find out more about the programme click here or you can sign up below to be regularly kept informed about programme progress. The patient information on this site is accredited by the Information Standard. This highlights our commitment to produce high-quality, evidence-based information for both patients and clinicians. For more information on this process please click here.